She's back. 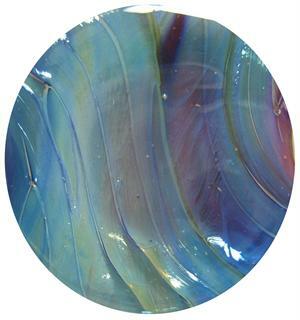 Terra was originally released in April 2007 and was the most popular colour. Unfortunately the formula was unstable and could only be produced in a few batches. It has taken 3 years to refine and perfect but now she's back. She is opaque , she lustres and maintains her lustre under clear. She strikes and does it easily. We recommend you work hot, cool , reduce and encase.They are sold in 114grm packs.